Garlic is a must to use in almost every meal. It provides taste, health benefits and a bunch of other cool stuff. From bread, to salt and all the way to powder, garlic has invaded almost every corner of the supermarket. In the lines to come, we shall shed light on two of these products, garlic salt and garlic powder. What are the key features of each one of them? What are their benefits, downsides and key differences? The very first thing we need to tackle in this garlic powder vs garlic salt guide is the first side of confusion. Garlic Powder! Provided it’s used appropriately, a sprinkle of garlic powder can intensely alter the taste and aroma of a dish. Garlic itself is an age-old ingredient stashed in countless kitchen shelves across the globe. 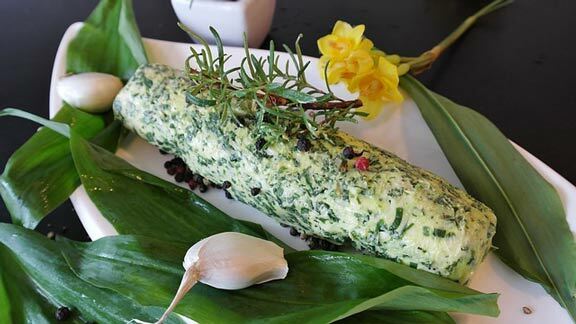 Through the ages, garlic has been renown for its cross-cultural, culinary and medicinal applications. These attributes are the products of some well-established compounds and components contained in the veggie. The workings of these components in the body are influenced by the methods which the consumed garlic is prepared with. Garlic is a choice ingredient for a wide array of cross-continental recipes, being added to meals in three main forms: raw, cooked, powdered, and supplement. Garlic powder is a tangy, flavorful, dehydrated spice that can be easily prepared and preserved for long periods of time. 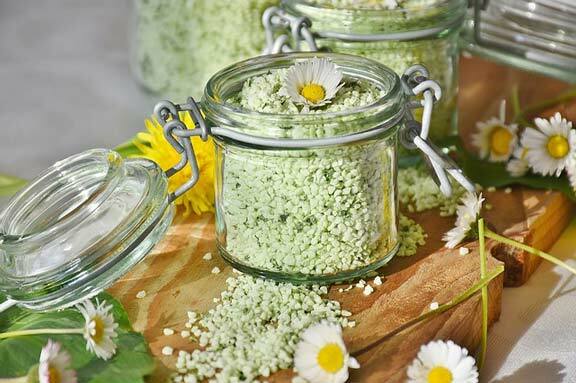 Homemade garlic powder has the advantage of freshness over the processed ones found in grocery store shelves. 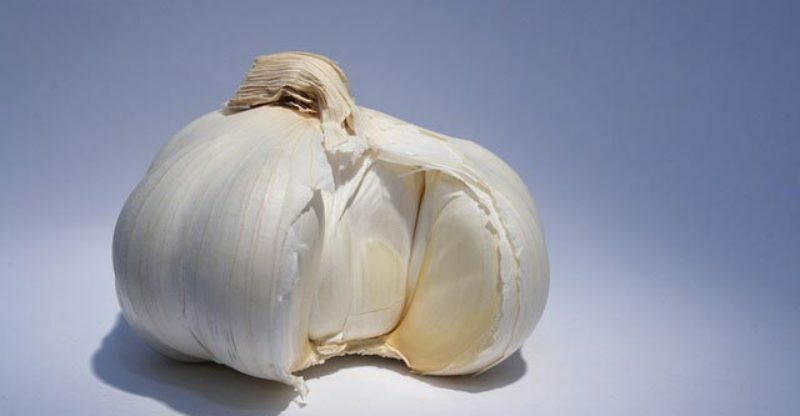 In the medical front, the efficacy of garlic in the treatment and prevention of ailments such as cancer and cardiovascular conditions has attracted a lot of observations under the lenses. Although garlic has been around ages, findings are still unclear about which particular components are responsible for some of its medicinal attributes. It is clear, though, that garlic contains a number of enzymes and sulfur compounds. Garlic is also rich in fiber, vitamins, and minerals. But perhaps its most outstanding element is alliin, a powerful antioxidant. 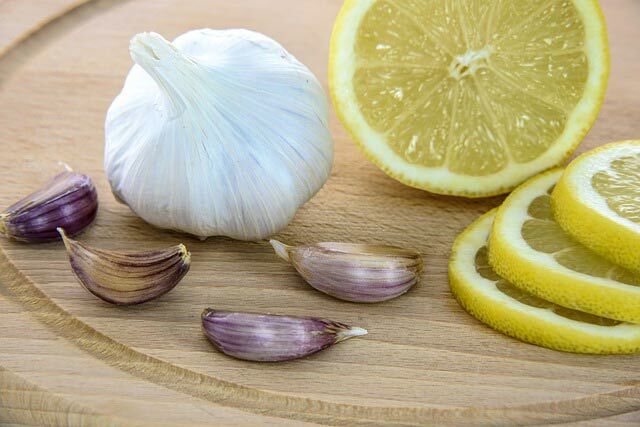 This antioxidant is a product of the interaction between one of the garlic’s sulfur compounds and an enzyme called alliinase when raw garlic is crushed and or chopped. However, the production processes for each garlic powder product affect the final composition of the powder. As a result, some products may lack some of garlic’s beneficial components. One of such components well known to be lacking in many garlic powder products is allicin. However, this isn’t a conclusive fact, since the knowledge of the chemistry of garlic is but cursory. This component is derived from alliin, as the garlic undergoes intestinal digestion. Garlic powder offers garlic aroma devoid of the inert pungent odor of raw garlic. This tangy flavor is delightful to people who would love garlic in their meals but are rather repulsed by its pungent odor. According to a recent research published in a “nutrition reviews” issue, some 39 trials on garlic intake correlation to cholesterol levels all indicate a significant reduction in cholesterol levels after the consumption of garlic over 2 months or more. These findings show an 8 percent reduction in cholesterol levels and 38 percent reduction in heart disease risks in people aged 50. Garlic effects change on the granular levels of numerous systems in the body: it inhibits cholesterol production, reduces cholesterol in artery walls and stool, and degrades blood clots. As a result, garlic powder reduces blood pressure and stamps out inflammation, ultimately shoring up the body against cardiovascular conditions. 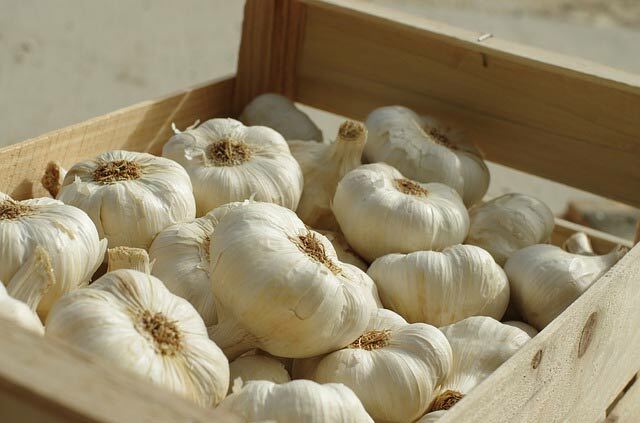 According to a report in the January 2003 issue of “Journal of Antimicrobial Chemotherapy”, garlic provides ample protection against parasites, bacteria, fungus and viruses. Garlic powder contains a host of enzymes suspected to be responsible for this medicinal attribute. Studies have verified garlic’s efficacy to minimize cancer risks. This attribute has been heavily linked to the presence of some sulfur compounds in garlic. Garlic’s other protective components may also play a role in this. 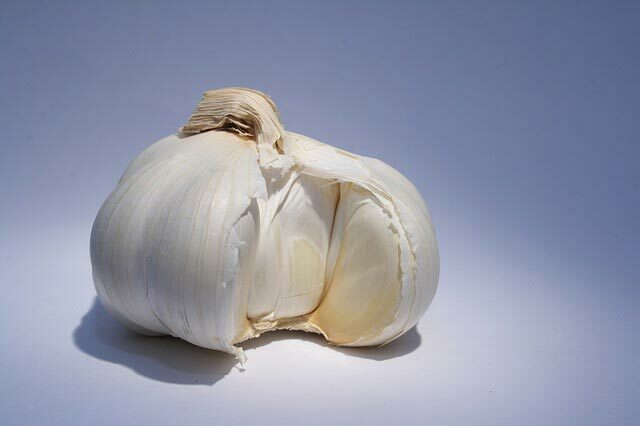 According to a research review reported in a 2001 monthly issue of “American Society for Nutritional Science”, 19 studies on garlic’s influences on cancer demonstrate the potency of raw or cooked garlic to minimize the risks of stomach and colon cancer. Another factor that puts garlic consumers in a better disposition against cancer is the fact that garlic induces the crave to consume many veggies, stirring up a dietary habit that ultimately reduces the risk of cancer. Garlic is a widely used flavorful spice, but some medical conditions can cause garlic powder intake to turn out dangerous. If you’re on a prescription medication, it is imperative that you receive a professional medical opinion on the right quantity of garlic powder suitable for your consumption. Garlic salt is a composite of table salt, garlic powder, and an anti-caking agent like calcium silicate. It’s usually made up of three parts of table salt, one part of garlic powder and a pinch of the anti-caking agent. Garlic salt is therefore salt, for the most part. But its garlicky tang can produce more sapidity in several food items including breads and sauces than ordinary salt. The garlic contained in this spice comes with a number of well-established, vital health benefits, including immunity enhancement and blood level regularization. Garlic in various forms, including garlic salt, contain anti-viral, anti-bacterial and anti-fungal components. But since garlic salt is mostly salt, you can only consume it in moderate quantities, so you can only obtain these benefit minimally. Garlic salt is made from a mix of three part salt, one part garlic powder, and a dash of an anti-caking agent. This implies garlic powder makes up a fourth of any garlic powder portion. The anti-caking agent prevents the salt particles from sticking clumsily to the garlic in a way that ruins the texture of the mix. The anti-caking agent therefore determines the final texture of the mix. Garlic salt does draw out the tastes in food items the way salt does, and also puts the flavorful garlic spin into the mix. But it falls short by a great deal in terms of aroma, flavor and nutritional benefits when compared to fresh garlic cloves. It’s might be necessary, but it’s certainly not an adequate source of garlic for meals that have garlic among their chief ingredients. Since garlic salt is easily prepared, large quantities can be easily produced in a breeze. You can store large quantities of the mixture that can last a long time in an airtight container, where you can reach for it when needed. Since it is also easily prepared, you can produce only the small quantity needed at a particular moment, say, to use on bread or quick egg recipes. A series of University studies assert the positive impact that garlic intake effects on the body’s defenses against certain types of cancer. The most outstanding among these series of studies was conducted by the University of Maryland Medical center. The research shows that garlic intake of very minute proportions such as the consumption of garlic salt can lead to a significant betterment of the body’s defenses against pancreatic and colon cancer. Garlic salt comes with garlic components that reduce low density lipoproteins, which induce constrictions in the artery walls. It also contains components that increase high density lipoproteins which enhance the body’s defenses against cardiovascular diseases. Garlic consumption of even small proportions, including the consumption of garlic salt, proves counteractive to hypertension. According to Oregon State University’s research into the effects of garlic on the cardiovascular system, garlic salt contains vasodilators, substances that reduces high blood pressure by decompressing the heart and blood vessels. Since you cannot consume more than moderate quantities of it, it cannot serve as a source of garlic with an abundant supply of the medically beneficial garlic components. Garlic is infamous for the sharp, pungent aroma it exudes. This pungent aroma can linger in the mouth long after garlic is consumed, giving rise to a repulsive mouth odor that persists even long after brushing. Evidence suggest the same components responsible for the medically beneficial attributes are the culprits behind the lingering mouth odor. So you need to be well prepared for this downside of garlic consumption before using garlic salt. Mouth-refreshing sprays can be of great help. A report published by the University of Utah asserts the potentials of drug interaction between garlic and Rofecoxib, a inflammation medication. ​These two substances are identical in several respects. The two are abundantly available in the market today, and serve as spices with more or less garlic flavor. 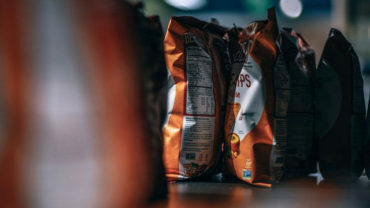 But in terms of versatility, garlic powder outshines garlic salt, since it can be used in the absence of garlic salt but garlic salt cannot serve as an ideal replacement for garlic powder. You cannot gain as much control over your garlic and salt contents with garlic salt as you can with garlic powder. Conversely, you cannot add more of garlic without adding more salt when using garlic salt. Therefore, if you’re using garlic salt, you cannot notch the garlic flavor higher without increasing the saltiness of the meal, nor can you increase the saltiness of the food without intensifying the garlic flavor. But not only can you easily decide what proportions of garlic and salt to use when using garlic powder, you can also easily choose to use different forms of salt. 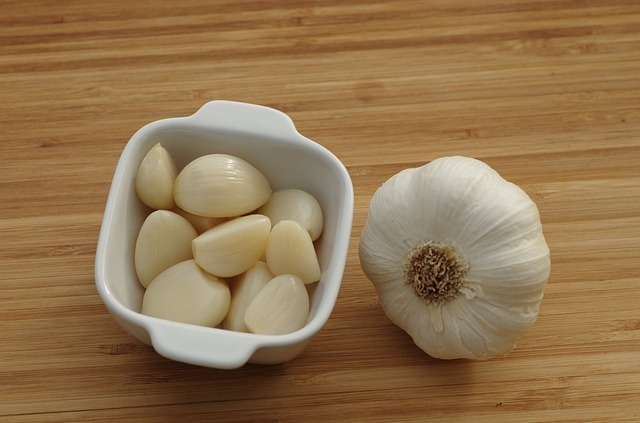 So these two forms of garlic are not interchangeable; garlic powder is an ideal replacement for garlic salt, but garlic salt has the salt caveat that prevents it from serving a garlic powder alternative. In terms of medicinal benefits, both substances contain of a number of beneficial garlic components in significant proportions. However, their downsides are differential mainly due to the presence of salt in one of the substances. Salt possess a few attributes that degrade human health. Disproportionate consumption of salt has been linked to increased blood pressure and as well as heightened risk of cardiovascular diseases. Salts are generally associated with a number of ailments. This therefore makes garlic powder the healthier between these two forms of garlic. Garlic powder and garlic salt can induce a tangy garlic flavor in dishes. Since these come in powdery forms, they allow you to infuse garlic flavor in foods without spending time to prep garlic cloves. But be that as it may, these two forms of garlic are no match for fresh garlic cloves as far as garlic flavor goes. Moderation is still required though, regardless what form of garlic is used, since excessive consumption of garlic can bring about negative consequences. You might be tempted to use more of the spice in your meal to heighten the intensity of garlic flavor. However, some cooking techniques can help you get the best of garlic. For instance, brine does an excellent job in drawing out the garlic flavor from garlic powder, and baking is one of the best ways to draw out garlic flavor. Also, the garlic particles need to soak up moisture in order to release its components, so you can double down on this propensity by leaving the garlic in the mix for long enough. All in all, these two substances can be easily prepared in large quantities, and this could offer economic benefits as well. It also makes great economical sense to stack up on garlic powder and garlic salt when the veggie is in season. This period usually comes around in late summer or early autumn, though garlic is always readily available all-year. Garlic takes pride of place among the healthiest foods. Garlic consumption induces a crave for more veggies consumption, ultimately leading to healthier eating habits. However, regardless of its versatility, garlic is not to be consumed without due consideration of individual health conditions and culinary preferences. In the properties chart of these two variants, the similarities between them do rank higher than their differences. There are a number dishes that allow for a latitude of choice between the two variants, but majority of dishes require the strict use of a particular garlic form. Nonetheless, the most crucial factor that determines which is the most suitable form of garlic for a meal is the preferred intensity of the garlic taste in the food.